Dogs are incredible creatures not only because of their intelligence and readiness to play but also because they are our best friends in the whole animal world and are willing to risk their own life to save others. However, such unconditional love comes at a price, especially if you don’t have a yard and are living in an apartment. While dog hair seems relatively harmless, it’s actually quite a nuisance both because it’s hard to get rid of and because it can sometimes be a serious health hazard, especially for people who are allergic or have respiratory issues. View this link now to find the best Pet Hair Vacuum for your household needs. 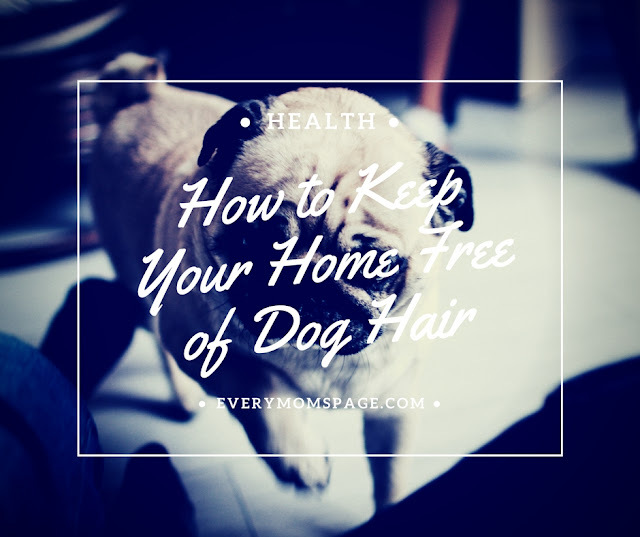 There are many methods and ways you can use in order to keep your home free of dog hair. Some of them cost a bit of money, while others require a bit of time and effort. Therefore, anyone can work their way to eliminate dog hair from their home, regardless of the size of their budget. All you have to do is devote effort, time, and most importantly – be consistent. In fact, consistency is essential for good results because getting rid of dog hair isn’t a once-in-a-lifetime thing. If you’re interested in finding new and innovative ways of dealing with this burden, feel free to try some of the following tricks. This particular method is one of the most popular ones amongst many pet owners as it is pretty straightforward and simple. While it won’t help you when it comes to getting rid of hair that’s on the floor or the kitchen tiles, it’s a great method for eliminating fur from clothes as well as furniture. The important thing you should be aware of is the strength of the tape. In other words, you don’t want to buy a super-adhesive type because it can damage your furniture or clothes. A more practical way of doing this is with a link roller, but those don’t last long and run out quite quickly. In case you find rollers more practical, make your own in few simple steps. You can also keep a roll of tape near the entrance to prevent other people from bringing new hair in and vice-versa. Most people don’t know about this little trick that doesn’t require anything but a cheap box of dryer sheets. The sole purpose of dryer sheets is to balance the electrons with ions and thus prevent static charge. In simpler terms, these things are designed to keep your clothes from sticking and attaching itself to other pieces. However, when it comes to fur elimination, a slightly dampened dyer works wonders. On top of that, these things have a double purpose. Not only do they get rid of fur, but they also clean the surface of other things such as stains, spots, and etcetera. The best thing about this step is the fact that one can get a box of dyers for as little as $10 and it will last for months. A vacuum is probably the first tool most people use to fight tedious fur all around the house. However, that doesn’t mean it’s the most effective one. In fact, this method usually does more harm than good, especially if you’re using an obsolete vacuum. On the other hand, it can be incredibly effective as long as you own a high-quality vacuum that is specifically designed to battle dog hair. You will usually stumble upon two options – you can try dealing with this nuisance by using the vacuum you already own, or you can invest in a robot vacuum for pet hair which is definitely a better option even though it requires you to invest a bit of money. One of the things you should remember is to pay special attention to the additional attachments available for your vacuum. In other words, it’s strongly recommended that you use additional accessories that are specifically designed to eliminate fur (dust brushes, carpet extensions). While mops usually do a good job of eliminating hair, they aren’t incredibly effective. A dry mop will usually drag fur along the floor instead of picking it. However, there is a small trick you can use to increase the efficiency of your mop by a lot – include some water. Now, the essential thing here to remember is not to soak the whole mop in a bucket of water but dampen it. This way, it will remain sufficiently dry to prevent damage to a wooden floor, but it will have enough humidity to pick up any hair. Again, it’s a win-win situation because you’ll deal with both fur and dirt. Even though it seems a bit ridiculous, a tool for window cleaning can actually help you when it comes to getting rid of excess fur. All you have to do is rub the squeegee along the carpet, and after only a couple of swipes, you’ll start seeing balls of fur piling up on your carpet. It’s strongly recommended that you do this before vacuuming the whole room because most modern vacuums don’t have enough power to handle the tangled hair hidden deep in the carpet. However, once you loosen those with a squeegee, a decent vacuum should have no issues further on. The advantage of this particular method is definitely the low price; however, the disadvantage is that you have to invest quite a bit of labor and effort to get the best results, and you might damage the carpet by misusing your vacuum. In case you have a vast tile floor, one of the best tools you can use is a rubber broom. While it’s an item with a pretty specific purpose, it doesn’t come in handy for other things. In simpler terms, some people decide against getting a rubber broom because it’s mostly used for the elimination of pet hair and nothing else. Even though it is a tool with a specific purpose, there is no reason why you shouldn’t get one. Some people are concerned about the price, but most models nowadays cost less than $20. There are some that cost way more, but quite frankly, they perform very similarly to the cheaper ones. The best-possible method one can use to decrease the amount of fur in their home is – prevention. Sadly, most people take action when it’s already too late, but with proper preventative measures, you can avoid such scenarios. The main thing you should do in order to reduce hair is - groom your pets, especially during the molting season. The common misconception most people have is that short-haired dogs don’t need grooming. It’s a completely wrong way of thinking, and you should groom short-haired and long-haired dogs equally. Another thing you can incorporate is – regular baths. While it doesn’t look like most pets lose much hair during a bath, you can rest assured that it helps a lot. In fact, the sole act of lathering and rinsing removes an incredible amount of hair. The only downside to this is that hair can cause clogging issues. Lastly, you should pay attention to the diet of your pet. Poor diet or peculiar eating habits can cause excessive shedding. Either way, make sure you invest in high-quality dog food or else you might encounter an issue with excess shredding.